R-421A does NOT require a unit oil change. With nearly identical pressure to R-22, retrofitting with R-421A is simple and familiar. With millions of units successfully retrofitted, R-421A is The Easy Choice for contractors. Available in 12lb and 25lb cylinders, Choice R-421A is designed to run in air-conditioning, and mid-to high-temp applications. We designed R-421A to have a nearly identical pressure-temperature (PT) relationship as R-22. This is a key factor in retrofitting air-conditioners and heat pumps without significant deviations in general operation and TXV metering. With R-421A, there is no unit modification needed -saving you time and money. Many R-22 alternatives on the market have 3, 4 and even 5 separate refrigerant components that comprise the blend. Each of these components have a unique PT curves that can vary from one another widely. This is known as temperature glide, and glide is a big problem. Glide causes inconsistent evaporator temperatures, resulting in performance degradation . This is why we designed R-421A to have only 2 refrigerant components and the lowest temperature glide of the leading R-22 alternatives. 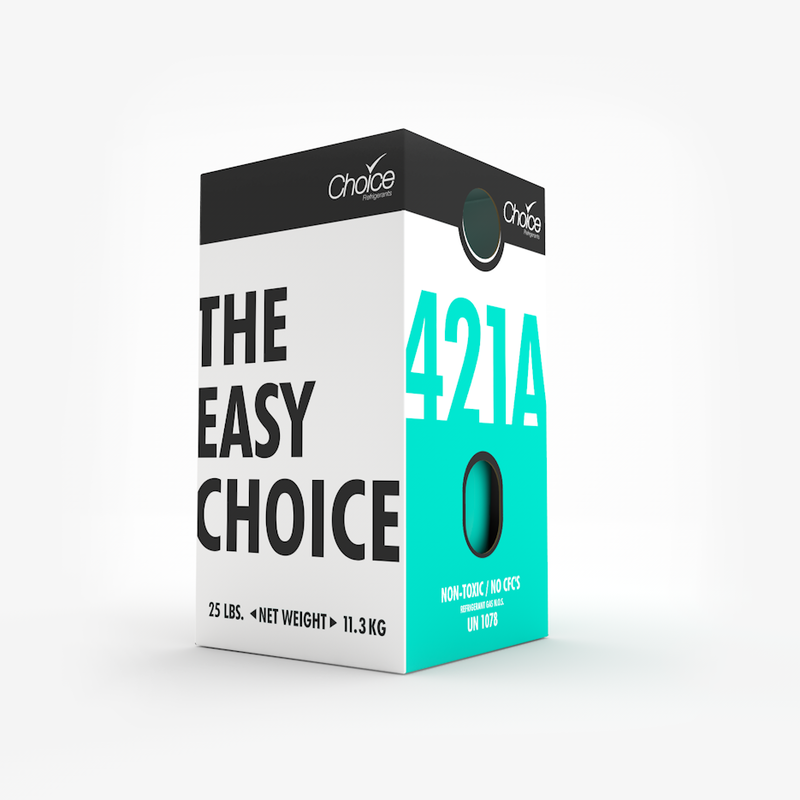 We’ve packaged R-421A with a proprietary lubricant, designed to facilitate oil return to the compressor.